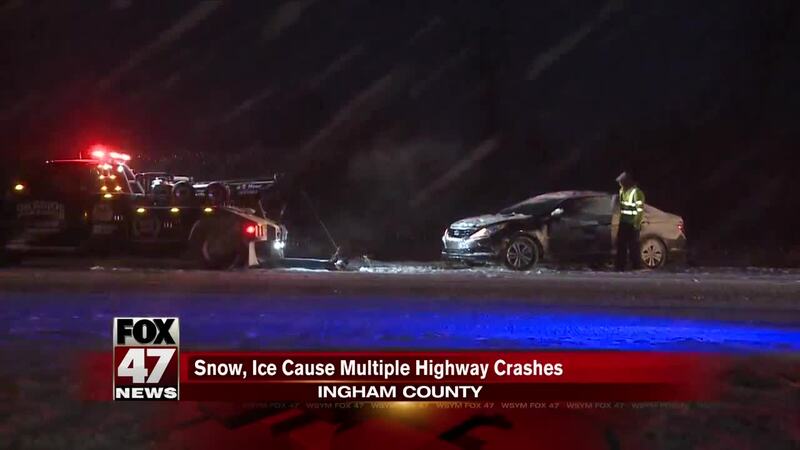 Ingham County officials reported "multiple" vehicle crashes Sunday evening, especially on highways, as drivers in the Lansing area dealt with snow and ice on roadways. LANSING, Mich. — Ingham County officials reported "multiple" vehicle crashes Sunday evening, especially on highways, as drivers in the Lansing area dealt with snow and ice on roadways. Ingham County officials urged Sunday evening, "If you must travel, please avoid the highways and use caution."